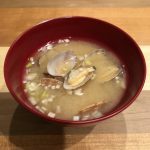 What is dashi: essential element for miso soup? I love it so much! When I was kid, my family cultivate corn so we used to eat them a lot in summer. My family don’t do that anymore but my uncle does and he gave me incredibly sweet corn this summer. They were definitely the best corn I’ve ever had!! 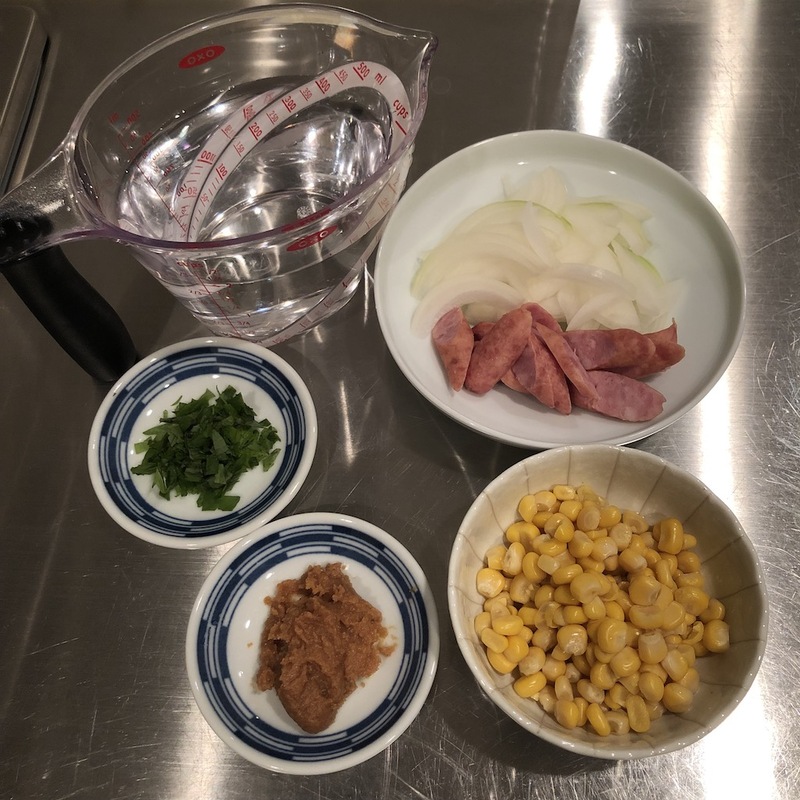 It’s difficult to get fresh one in the winter so let’s use canned corn for miso soup. Speaking of corn with a soup, I imagine the soup of ramen. Miso ramen often served with corn and butter toppings and they are excellently matches with miso taste. 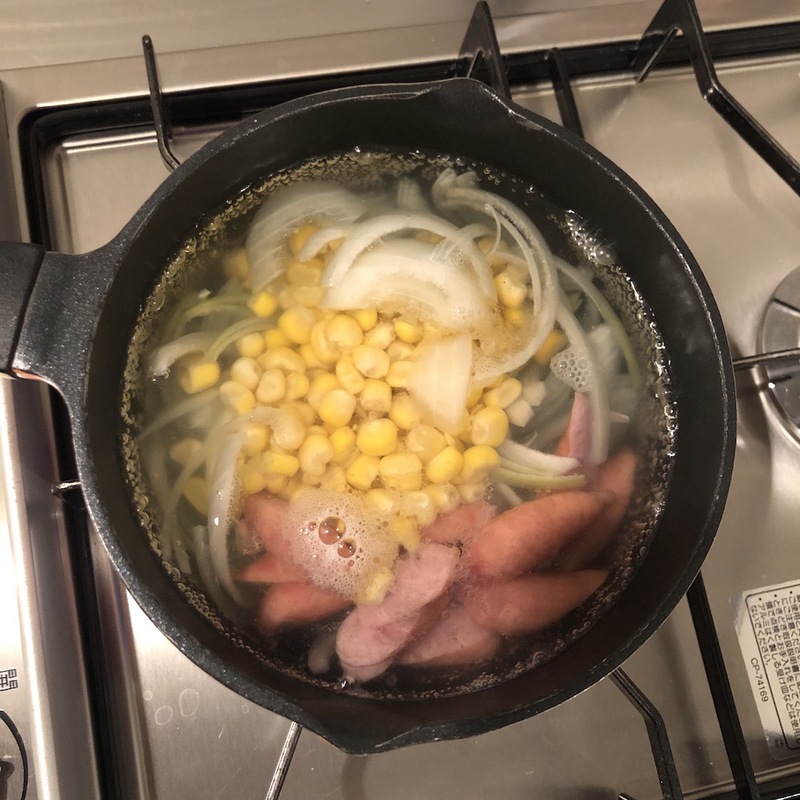 Cooking ramen is taking long time, so shall we enjoy corn with miso soup today! *1 Feel free to adjust the amounts of miso paste to your liking. 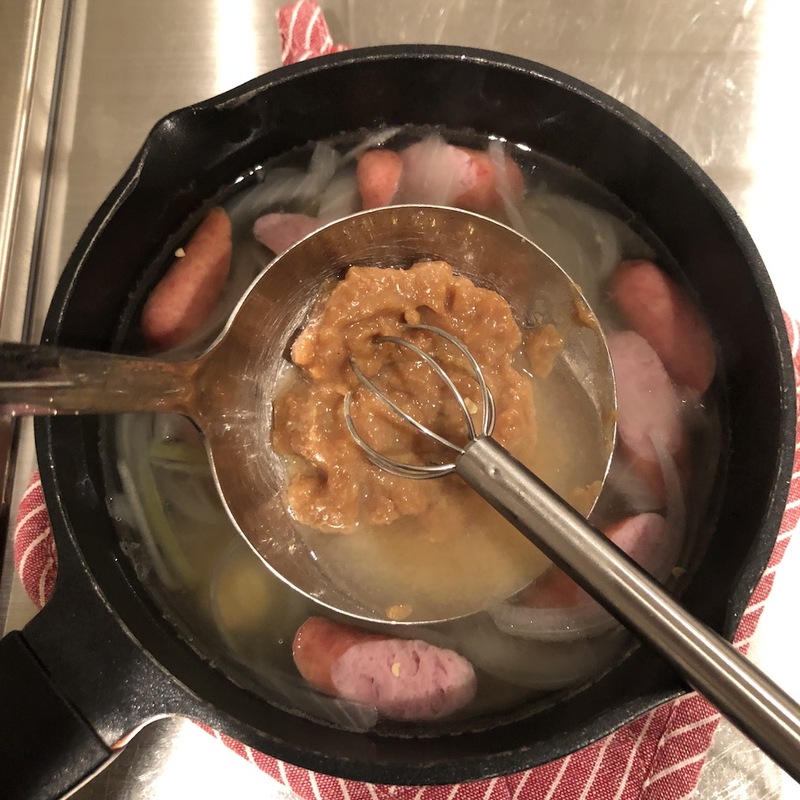 *2 If miso paste already contains dashi, don’t need dashi granules. I use miso paste containig dashi this time. 1. 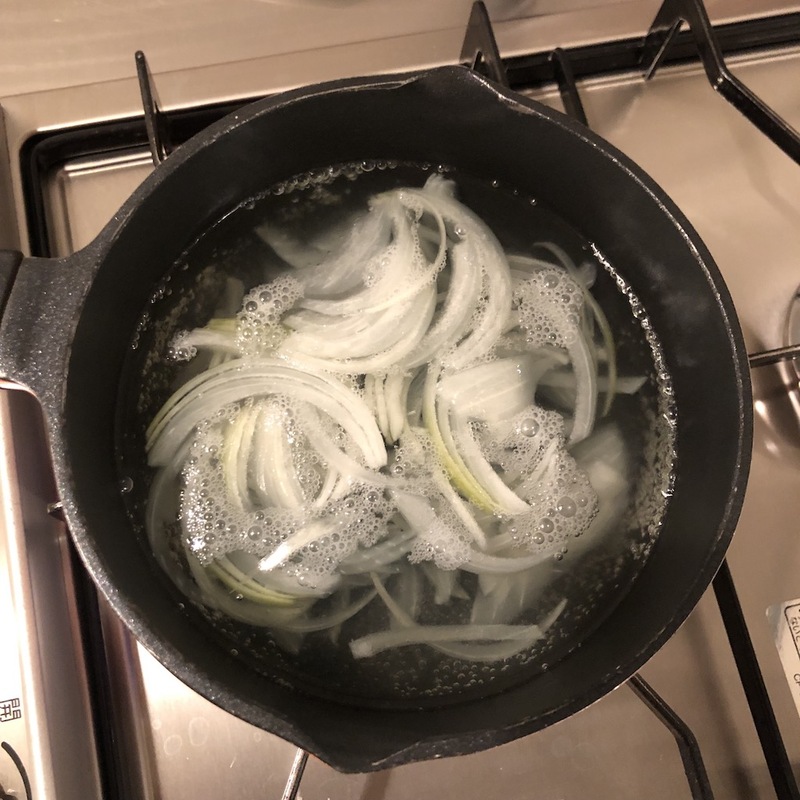 Heat water and onion in a saucepan until onions turn translucent. 2. Add corn and sausage and simmer for 1-2 minutes to cook them. (Add dashi granules if you need). Then remove from heat. 3. Add miso paste and stir until miso is completely melted. Put minced Japanese basil to your liking. 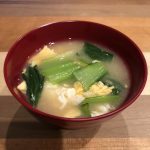 I used Japanese basil (Shiso) as a topping to make the soup look colorful, but you can use parsley or any other toppings instead. Also butter is great partner for corn I think. 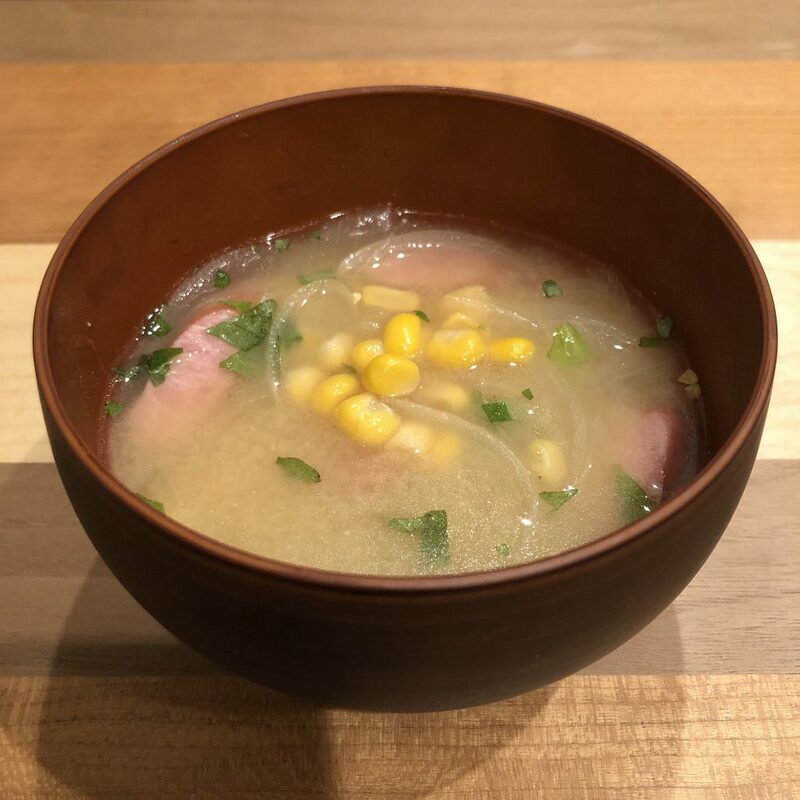 I was actually surprised that corn made awesome stock for miso soup and the flavor is perfect! So glad to create new recipe!! 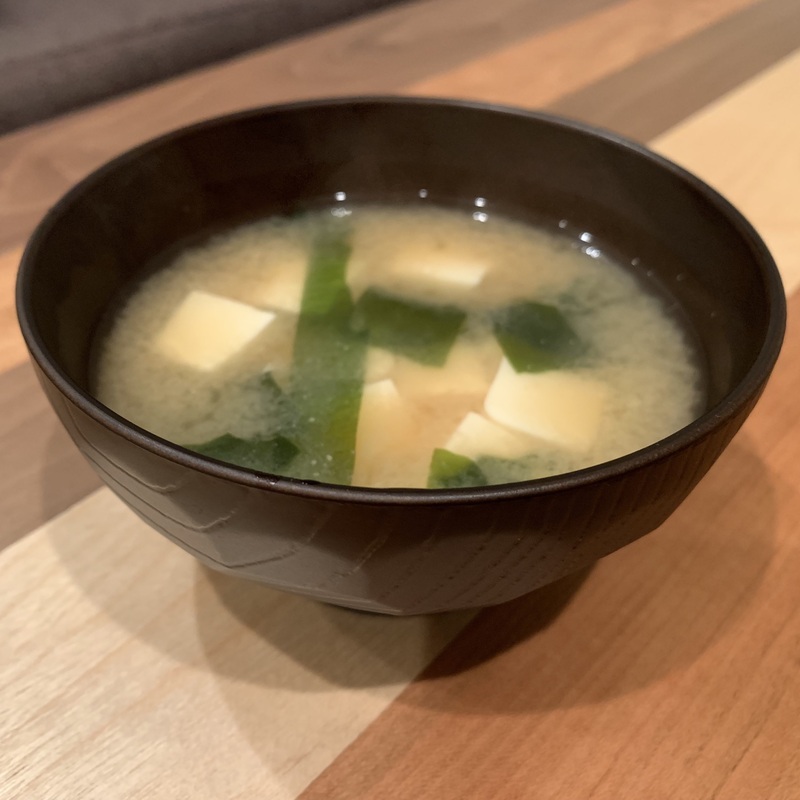 "MISO SOUP from JAPAN" gives you information and recipes about genuine style of miso soup such as traditional one, trendy one from Tokyo, Japan.